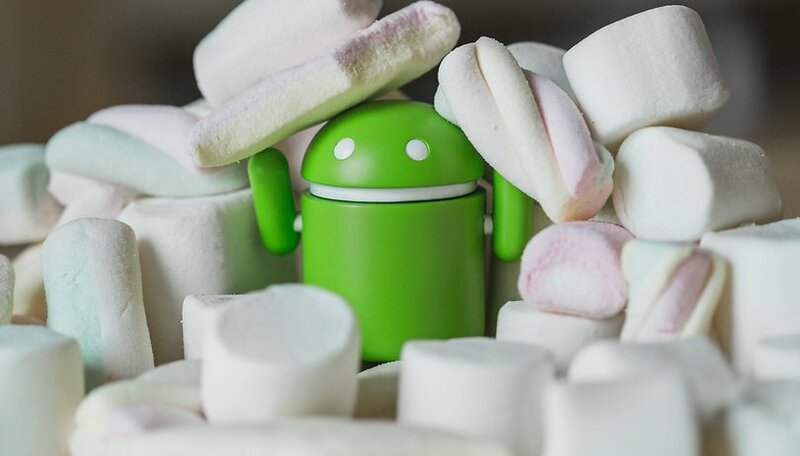 Android 6.0 Marshmallow: significant or superficial? We now know that Android 6.0 Marshmallow will be the next Android version on the block, dropping publicly sometime in the Fall. At the moment we are still expecting a public release sometime in October, to coincide with the new Nexus devices. But are the changes we know about by now really enough to justify the jump from Android 5.1.1 to Android 6.0? Let's take a look at the evidence. The big news about Google's recent confirmation of Android 6.0 was the change to API level 23, which is mostly based around app permissions and fingerprint support. Android's API level is basically the benchmark towards which developers should target their apps, because it contains all the latest stuff from Google. Permissions and fingerprints on their own can be considered enough justification to have a number jump, but for some reason 6.0 just doesn't sit well with me. Based on everything I've seen so far in the Android M previews and on stage at Google I/O, I honestly expected Marshmallow to be Android 5.2. But other than an API change, what major differences are there in Android M? I don't want to pretend I know exactly what will happen in Android 6.0 Marshmallow, because who knows what Google might throw into the mix at the end. There's still plenty from I/O that we haven't seen in the previews, after all. But I don't seem to be alone in thinking most of Marshmallow looks pretty superficial so far. We've got a dark theme for Android, which has been noticeably missing in the last two developer previews and may not even make it into the final builds. We've got a rotating home screen for landscape mode. We've got a new boot animation, visual voicemail and some tweaks to the app drawer. You can remove status bar icons and delete screenshots from the notifications shade, but these are all quite surface-level changes. What if we dig a little deeper? Android Marshmallow will deliver stock fingerprint support to Android, but considering how good a job a lot of manufacturers are already doing of that themselves, it doesn't seem so exciting. It's big for Android itself, but not for consumers. There's also Android Pay, Google's answer to Apple Pay, which will function on any Android phone with NFC and Android KitKat or later. The touchless payment system will arrive with Marshmallow but may take a long time to get picked up by retailers, especially when Apple and Samsung have their own versions. App permission management is the other big deal but I'm not sure how much casual users will actually notice this. This is the problem with a lot of the new changes: Android fans appreciate them, but the average person won't use or care about them. What does the average smartphone consumer care who is responsible for the back-end of fingerprint scanning? As long as it's safe, secure and reliable, it's all the same to them. Most people don't read app permissions right now, so expecting everyone to suddenly start managing them individually is a pipedream. USB Type-C will matter, but probably only because a lot of people are going to be complaining about making the switch for the next few years . The way Android handles app links will certainly make life easier, and offline access for Google Maps and a Chrome browser that adapts to changing network strength is a real bonus. So is Google Now on Tap, which I'm basically in love with. But does all this add up to something worthy of the Android 6.0 title? Actually, I think it just might. While most of what we've seen since I/O has been incremental – refinements, improvements and expansions – Marshmallow will be something greater than the sum of its parts. In many ways it feels as though Android is growing up, and a lot of the things that really should have been done a long time ago are finally starting to coalesce. Keep in mind too that Google has announced major Android version updates every year moving forward. So the jump to Android 6.0 might simply be symptomatic of that choice, with Android 7.0 coming at the end of next year, regardless of what changes are involved. But as far as Android 6.0 is concerned, API 23, app permissions, better user-facing controls (for those who want them), the streamlining of services, Android Pay, Material Design everything, stock fingerprint support, better support for offline, a whole host of visual flourishes and more consistency across the board, are going to be well received. Android Marshmallow may not be the shock to the system that Android Lollipop was, but in many ways Lollipop was like a freezing cold shower. Android Marshmallow, as the name implies, is going to be a softer landing. Comfortable, smooth, delicious. How important do you think marshmallow will be? Bigger and better than Lollipop or much the same? After the disaster of Android 5 AND the inability - make that dysfunctional rudeness of both Samsung's and Verizon's tech support to deal with it, I went to iPhone after being with Andriod phones for about 8 years. While I'm not a huge Apple fan, at least the operating system on my iPhone 6 is super stable and does everything I want in a clean and efficient way. I don't need screens that flip, wiggle, and glitter. It seems that the designers are aiming for an audience of teenagers with perfect vision (bad contrast, tiny fonts, lots of bling). This is a working device for many many business people, not a video game for adolescents. I've completely lost faith in Android at this point and will not go back... that is unless they brought back KitKat which did most everything well. It doesn't need to be all singing and dancing update. As long as it's a improvement over the previous versions. The media is always wanting things to be mega huge, consumers just want a stable well thought out OS. That's a rather low view of the mass users. Any word if they fixed the mobile radio active bug yet?